Another whack-job like Sarah Palin that will be laughed out of the Primaries. She’s nothing more than a diversion. Every POTUS campaign must have one. The great green economic depression beckons. Back in 1977/8 as I passed through the UK there was a show on the BBC about some young couples who supposedly went back to the Iron Age (or it might have been Bronze age) for 12 months. I only saw a few episodes where they were ensconced in substantial wooden houses on land cleared for crops etc. far beyond the efforts of those few in a short time. Yes, an air of unreality and probably the same basis of “reality shows” on TV like I’m a celebrity etc. (I don’t know because I never watch them). But I did see later that some of the couples went back to live in the same lifestyle, so the Greens will always find some gullibles. Wow, JB. You really don’t know anything, do you? Perhaps catch a dose of the ‘flu and need an ambulance in a hurry. How sad. Ayn Ran is not a great writer, but she made a pretty accurate forecast in Atlas Shrugged. The endless procession of fools who think everything that gives them life, health, wealth and happiness will continue to exist in their Paradise is quite shocking.Look not far south to see what happens when you make it not worth people’s effort to make stuff. Bzzt – fail. 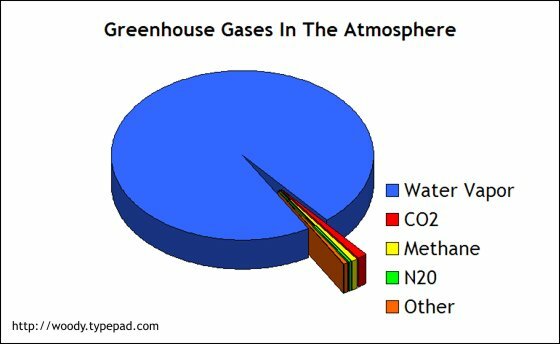 Water vapour is by far the primary ‘greenhouse gas’, and that will still be there. It is essentially impossible to determine the impact of 4 percent if you have very limited knowledge about 95 percent. And no tax receipts from sales of oil, gas, coal etc.